Today I thought I would give the sketch challenge a try. You can find it here. 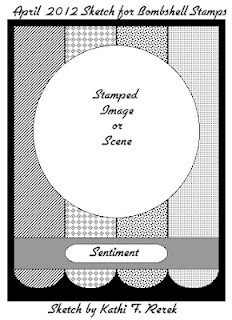 Go look at the design teams cards for this challenge at the blog here. The Relax was cut on my Cricut. I was planning on using it on my page for the Bombshell Blog but changed my mind. I used something else. It will post sometime next weekend I think. 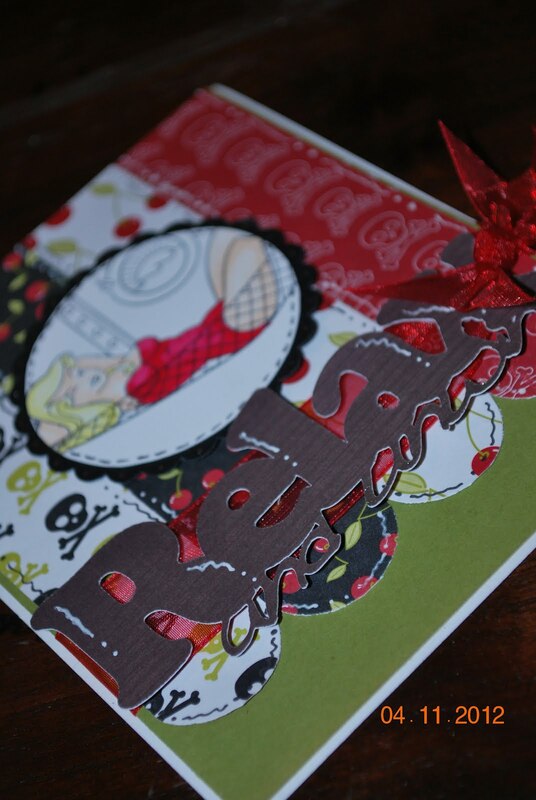 The cherry and skull paper is from Stampin’ Up. It is cut at 1” wide and then I cut it 5.5 long then cut it off when I got them where I wanted them at the bottom of the paper. This was such a fun challenge. I hope you can take time today to Relax and unwind. Thank you. It was a fun sketch. Its Out..... Stampin Ups Retired List. My Stamp Set Arrived So Now it Starts.